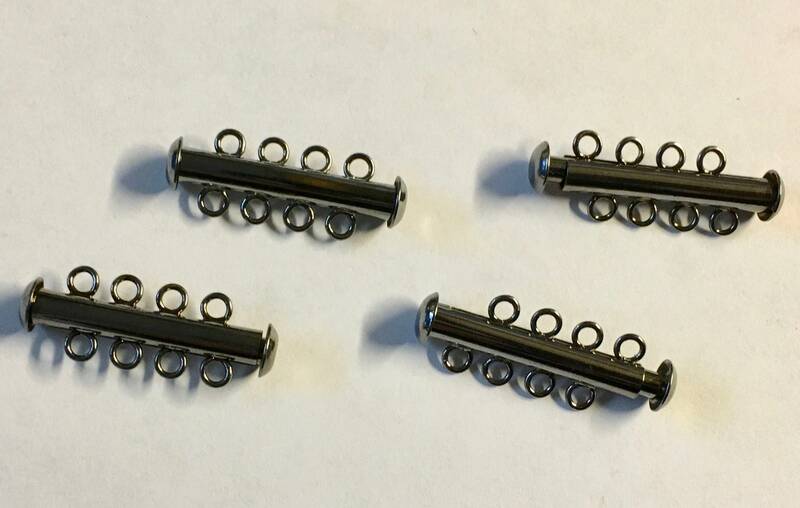 These black oxide 4-strand slide tube clasps are easy to open and close, and holds heavy or multiple strands securely and accommodate 4 strands. They close with strong, self-latching inside lock. Use with bracelet and necklace designs. Only one clasp needed per jewelry piece. Size: 26mm length x 6mm width. Excellent products and seller. Thanks!